SWurl is the name of the SWKLS library website project. 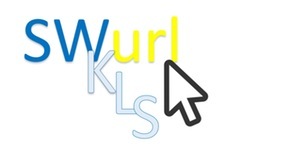 Most SWKLS library websites are supported and managed by the SWKLS Technology Staff. These websites use the WordPress web platform. How to Create a Google Form (some libraries have used these for Summer Reading Registration, Recipe Exchanges, etc) Once the form is created link it from your site or embed it on a page or post. Here’s one we created for Summer Reading. WordPress for Libraries Resources – Great resource for libraries! Tutorials, tips, etc.